We are very happy to create a custom tour for you or your party tailored to your specific interests and time parameters. This can run from bird watching, wildflower viewing, petroglyph hunting or a photo safari to artist studio visits, a tour of a Pueblo or Spanish colonial village, a wine tour, culinary outing, scenic road adventure, isolated hiking destinations or other attractions. These outings can range from several hours to multiday excursions. Let’s talk and explore your interests and the time you have available to explore our region! The true cornerstone of Southwest Odyssey Tours! Multi-day Southwest Odyssey Tours feature itineraries that capture the heritage, culture, and natural beauty of each destination for an unparalleled adventure experience. 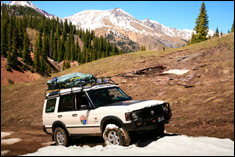 In the comfort of a luxury, 4-wheel-drive tour vehicle, the back roads await your exploration! Southwest Odyssey Tours groups are small which allows a more personalized adventure experience and minimizes the impact on the environment. Impeccable attention to detail, unique itineraries and skilled, knowledgeable guides all come together to offer you an exciting, authentic travel adventure. Choose from one of our exciting adventures below. one of the most spectacular destinations on earth! 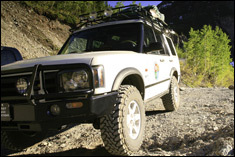 With Southwest Odyssey Trail's unique multi-day tours, enjoy the comfort of a specially-equipped 4-wheel-drive luxury tour vehicle as you travel deep into the remote back country of the Four Corners region. There our first-class guides share with you their passion for the extraordinary landscape and the compelling native history of the region. With the Southwest Odyssey Tours, each of your senses will be enchanted. From the astounding colors of mysterious rock formations to the rustic native cuisine, come find out what beauty and adventure awaits you in the majestic canyons, deserts and mountains of this magnificent land. This Southwest Odyssey Tours Tour unfolds the mesmerizing beauty of the American Southwest as you explore the canyons and arches of the Colorado plateau, ride high up in the clouds on the San Juan Skyway, experience native and ancient cultures, and behold majestic natural land formations that will take your breath away! Our signature Southwest Odyssey Tour takes you on a back-roads adventure through 5 incredibly unique states and offers you encounters with the people, sights, history and natural wonders that make this an unforgettable vacation destination. On this tour you will see what makes the American Southwest legendary! the culture of the American Southwests. From the fiery desert floor to snow-covered Rocky Mountain peaks, Southwest Odyssey Tours Tours will sweep you off your feet and release you right on the edge of the Grand Canyon. 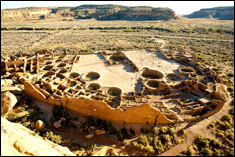 On this overland adventure you will explore ancient ruins of Native American Indian dwellings and pueblos discovered in Chaco Canyon and beyond. If it's Southwest art and architecture that strikes your fancy, the visit to Santa Fe will lead you to the best art museums, art galleries and architectural sites. 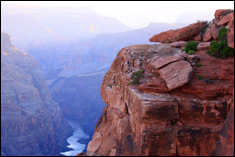 Come see what wonders await you as you explore with Southwest Odyssey Tours. 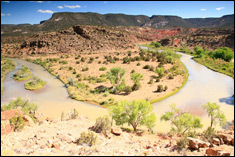 Embarking from Santa Fe, New Mexico the 7 day Southwest Odyssey Tour takes you into some of the most historically and culturally significant and stunning locations in New Mexico, Arizona, and Nevada - including the Grand Canyon!